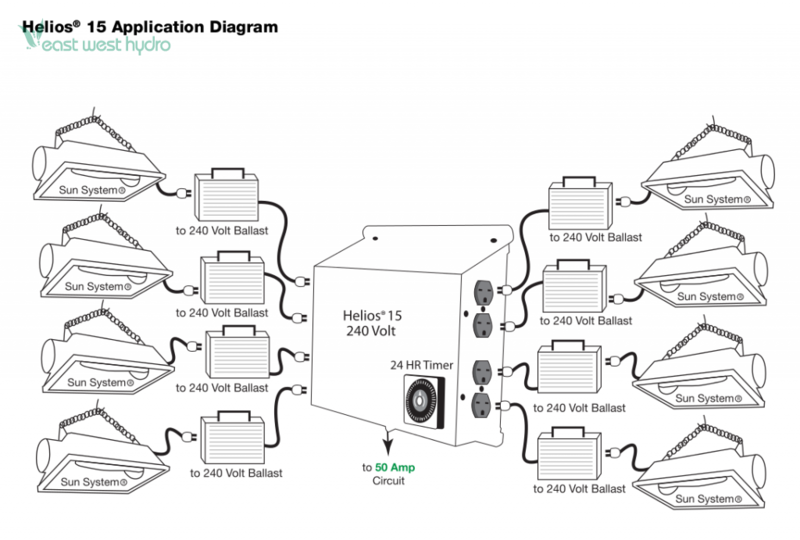 This controller will run eight (8) HID lights at 240 volts. Features premium quality Siemens brand relays. Reliable German made 24 hour timer built into controller. 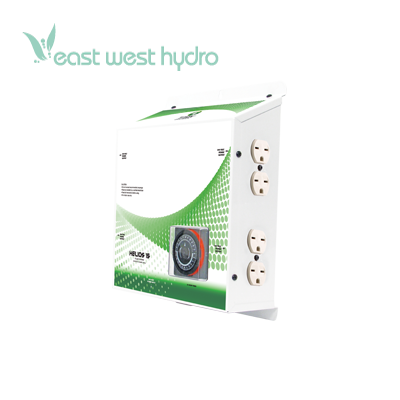 NEMA 6-15 UL Listed power outlets. Durable powder coated steel chassis. 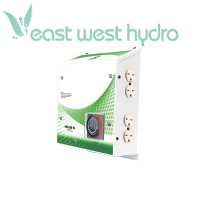 50 Amps input power/40 Amps output power/240 Volts/60 Hz./8000 Watts. Dimensions: 16.4in. × 13.4in. × 6in.